Revati Nakshatra: Spread from after 16:40' up to 30 degree in Meen Rashi. Lord Guru. Deity Pusa. Pusa is the keeper of Cows of the Gods, causes Cow keeping and animal husbandry, protection and nourishing of dependants, foster-father etc. Pusa means the cherishing of protected people. He is very clean at heart, sincere in his dealings and soft spoken. He has a knack of dealing with others as per the occasion warrants. He does not give heed to others unnecessarily. Since he has a completely independent life he easily gets hurt when faced with a resistance. He cannot keep a secret for a long period. He does not believe blindly on others, even his loved ones. But once he takes somebody into confidence, he gets significantly attached with him or her. He is very hot tempered. Come what may, he acts according to his inner voice-his principles. He tries to follow his principles, which he feels, are correct and resists tooth and nail till the end to stick to or follow that principle. He draws a premature conclusion on any matter. He is God fearing, superstitious, religious and rigid in the observance of orthodox culture and principles. He is stubborn and ambitious. Even the slightest failure of his ideas or plans, torture him to the core. Out of all the Nakshatra born people, Revati born are the most God fearing and religiously inclined. Hence, they are the ones who enjoy maximum blessings of the Almighty. really its true in my life! 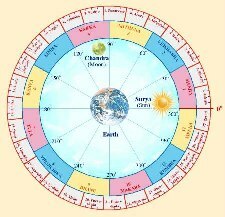 This nakshatra based prediction are true. Almost matches. really same features i have . i don't know how did you do this.but during study my nakshatra characteristics i thought for a while that you know me very well and what did you say about me is 100% true.really amazing!!! almost matches in my life.